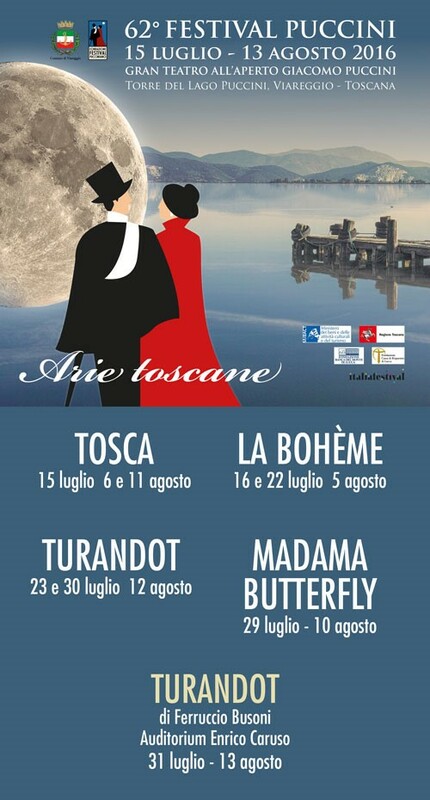 Experience the magic of live opera at the 62nd Puccini Festival that takes place this summer in the open air arena of Torre del Lago Puccini near Viareggio. The Puccini Festival is one of the most prestigious opera festivals in Italy and the only one in the world dedicated solely to the composer Giacomo Puccini. It takes place in the very spot that inspired the composer for over 30 years and where you composed the masterpieces that will be performed during the festival. 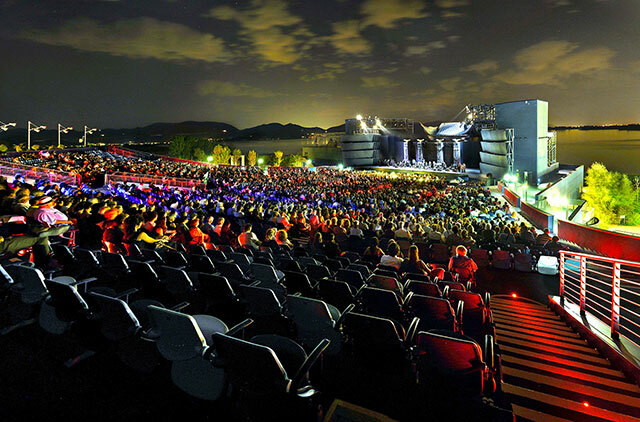 The large arena located on the edge of the Massaciuccoli lake forms the perfect stage for Puccini’s masterpieces Tosca, La Bohème, Turandot, and Madame Butterfly. New this year is the first performance at the festival of Ferruccio Busoni’s Turandot. The composer from the Tuscan city Empoli was fascinated by the fairy tale of Carlo Gozzi before Puccini and composed his own opera based on the story. Giacomo Puccini had a special connection with Torre del Lago that started when he bought a villa there at the lake of Massaciuccoli in 1891. In this oasis of peace, he composed some of his most famous operas such as Bohème, Tosca, and Madame Butterfly. After his death in 1924 during a visit to Brussels, his remains were brought back to Italy and buried in the chapel inside the house of his beloved Torre del Lago, which was renamed Torre del Lago Puccini in his honor. The villa still belongs to the Puccini family and after major renovations, the museum dedicated to the composer opened its door to the public in 2012. For more information about the Puccini Museum visit the website. Tickets can be purchased on the website of the festival.